The HoopObsession.com Sweet 16 offers a glance at the 16 players we think have a chance to make headlines in the remaining NCAA Tournament games, as well as at the next level. Zion Williamson - Duke. 6'6", 272 lbs freshman. ...Williamson, the ACC Player of the Year, possesses the greatest combination of explosiveness and power that we have seen in a prospect. He jumps so quickly and with so much force, some of his highlight plays seem animated. If the highlight reel play of Williamson is viewed by some as "just hype", at this stage, we believe history will prove that the hype should have been believed. Williamson is the most efficient freshman we have ever tracked since we started obsessing over NBA Drafts in 1999. He is, far and away, the number one prospect in the 2019 NBA Draft. 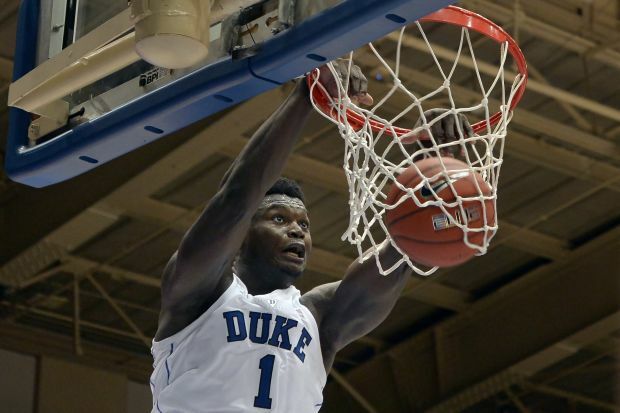 Zion is averaging 22.5 points and 8.8 rebounds per game while connecting on a jaw-dropping 68.4% of his field goal attempts. Duke is 6.4 points per 100 possessions better defensively when Zion is on the floor. He disrupts passing lanes. He closes out with perimeter blocked shots (that he often rebounds). He can throw a bullet bounce pass at top speed, and he finishes at the rim like something otherworldly. ...Does he have flaws? Certainly. He shoots only 33% from three-point range and he has connected on 65% of his free throws. Both numbers exhibit that his perimeter shooting touch is inconsistent at present. Zion also has more turnovers than assists this season. But those are nitpicks once you realize how good he is overall. Williamson leads the entire NCAA in boxscore plus/minus. Zion is a super freak! Jarrett Culver - Texas Tech. 6'5" 190 lbs. sophomore. ...Culver is a prospect with a high ceiling. He is just scratching the surface of what he may be capable of. The smooth sophomore averages 18.8 points, 6.5 rebounds, and 3.8 assists per game. He plays with a calm demeanor that it difficult to speed up or make uncomfortable. He seems to have a counter move for any defensive pressure. ...His defensive rating (DEFRTG) is better than the Texas Tech team DEFRTG. He has a positive assist-to-turnover ratio and he knocks down the three-point shot at 35.7% (career). Hopefully his shot making will continue to improve. His freshman free throw percentage was 64%. He improved that to 69.6% this season. We believe Culver can be a top-ten TWO-guard in the NBA if he reaches his potential. Brandon Clarke - Gonzaga. 6'8", 210 lbs junior. ...Clarke is an explosive, above the rim, athlete! After Zion Williamson, Clarke rates as the second most efficient player in our 2019 NBA Draft database. Clarke averages 17 points (63% FG), 8.4 rebounds, and 3.1 blocked shots per game. He has a positive assist-to-turnover ratio but he is inconsistent with perimeter shooting (28.6 % 3-pt. fg). Defensively, Clarke is fantastic. He can guard positions 1-4, and some small-ball fives as well. Gonzaga is 5.9 points per 100 possessions better on defense with Clarke on the floor. Clarke is a 68.5% FT shooter. ...Clarke started his college career at San Jose State. He played there two seasons before a transfer to Gonzaga. He sat out 2017-18. Chuma Okeke - Auburn. 6'8" 230 lbs. sophomore. ... Okeke has great size for a small forward. At 6'8", 230 lbs., he will fit in perfectly to the NBA landscape. Okeke averages 11.8 points, 6.7 rebounds, and 1.8 steals per game. He is particularly good as an offensive rebounder. ...Okeke is a plus defender with Auburn being 2.6 points better (per 100 possessions) on defense when Okeke is on the floor. He is shooting 38% from beyond the college arc. He makes 73.6% of his free throws. Okeke has slightly more assists than turnovers. 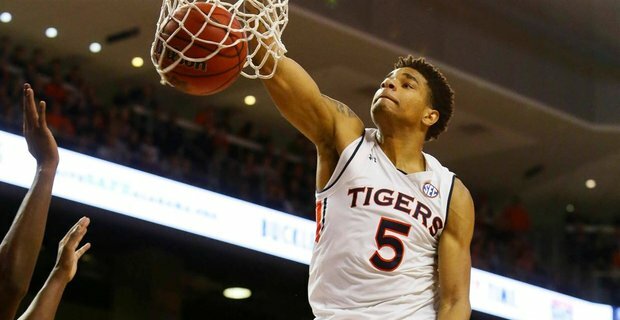 Chuma Okeke is the best player in the tournament the World doesn't really know about. R.J. Barrett - Duke. 6'7" 208 sophomore. ... Barrett projects as a top-tier small forward for years to come in the NBA. The Canadian is among the most scouted prospects to come along in years. He played for the World Team at the Nike Hoop Summit as a 16 year-old. This season at Duke, Barrett averages 22.8 points, 7.7 rebounds, and 4.1 assists per game. He can create his own shot. He finishes in transition at an NBA level, and he is willing to share. ...His shooting numbers this season are pedestrian. He is connecting on just 31.3% of his three-pointers, and just 66.2% from the foul line. Defensively, Barrett has the tools but he needs to lock-in more often. Duke is 3.2 points better, per 100 possessions defensively, with Barrett OFF the floor. ...While he can clearly improve his focus, shooting, and defensive intensity, Barrett is likely to be among the top-three picks in the 2019 NBA Draft. Coby White - North Carolina. 6'5" 185 lbs. freshman. ... White is mostly viewed as a point guard but his 1.51-to-1 assist-to-turnover ratio suggests he is more a natural TWO. Regardless of his backcourt designation, White is a fantastic young, offensive guard. White is averaging 16.1 points, and 4.1 assists per game. He is shooting 36.3% from deep, and making 79.5% of his foul shots. ...His attention to detail on defense will need to improve. North Carolina's team DEFRTG is 3.4 points better with White OFF the floor. 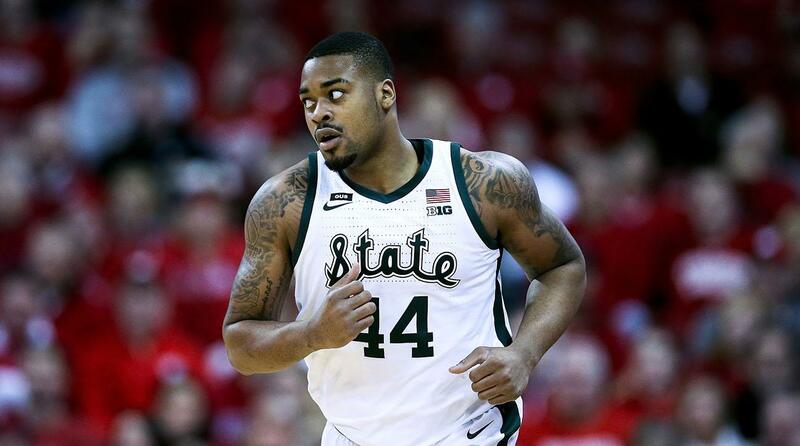 Nick Ward - Michigan St. 6'8" 250 junior ...Nick Ward has played 20 minutes only once in his last six games. He suffered a hairline fracture in his hand that required surgery (February 17th). After missing five games, Ward returned in the Big Ten Tournament but he played only eleven minutes per game. The junior, left-handed, BIG is connecting on 61% of his field goal attempts (career). Ward has the body and ability to carve space in the paint. He is quick to the ball, and, as such, he is excellent on the offensive glass. He draws fouls at a high rate. Ward has consistently ranked in the top-ten in the Big Ten in free throw attempts. He is an underrated shot blocker as well. Ward's defensive rating is 3.5 points better than the Michigan St. team DEFRTG. He has improved his free throw percentage with each season. While nothing to write home about, Ward is now making 65.9% of his foul shots. Ward has only attempted three shots from beyond the arc in his college career, but he has nailed each one. Nick Ward has the physical tools to compete in the NBA, or any league. Grant Williams - Tennessee. 6'5", 234 lbs. Junior. ...Grant Williams is a baller. He is easily one of the most skilled players remaining in the NCAA Tournament. Williams, the two-time SEC Player of the Year, averages 18.8 points, 7.5 rebounds, and 3.1 assists per game. He has improved his three-point shooting. This season he's at 34% 3-pt FG. He shoots 82.4% from the free throw line. He is strong with the ball! ...Williams is highly efficient. He ranks first in the SEC in boxscore plus/minus. He scores near the basket at a high rate. He shows leadership ability. ...Williams is a flat-out WINNER. Projected as a mid second round pick by the consensus, Williams is as underrated from an NBA Draft standpoint as any player in recent memory. Jay Huff - Virginia. 7'1" 232 lbs., sophomore. ...Huff is a per-minute star. The 7'1" sophomore has the skill to stretch defenses, and the athletic ability to finish at the rim. Huff is connecting on an incredible 46.7 % of his three-point attempts. Huff has only played 7.25 minutes per game in the last four Virginia contests but that is simply because he is waiting his turn. Once Huff gets extended minutes, the numbers will be there. Huff is shooting 62.5% FG. ...Defensively, Huff's DEFRTG is 5.6 points better than the Virginia team DEFRTG. 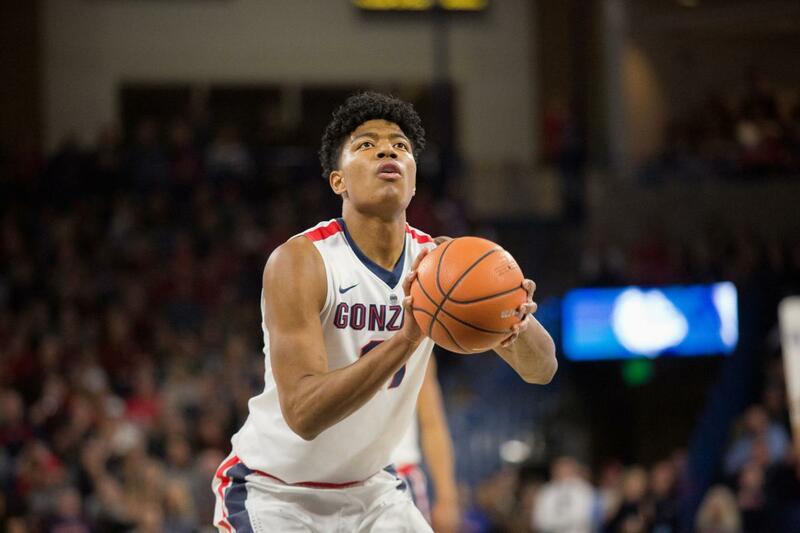 Rui Hachimura - Gonzaga 6'8" 225 junior. ... Hachimura is a consensus lottery pick. The West Coast Conference Player of the Year is averaging 19.9 points, and 6.6 rebounds per game. This season, he has transformed himself into a knock-down three-point shooter, making 46.9% 3-pt FG. He shoots 74.6% FT. …Hachimura has slightly more turnovers than assists and his DEFRTG is worse than the Gonzaga team DEFRTG. ...His wingspan is reported to be 7'2". Hachimura was born and raised in Toyama, Japan. DeAndre Hunter - Virginia. 6'7" 212 lbs. sophomore. ... Hunter is presently trending as the consensus sixth pick in the 2019 NBA Draft. He averages 15.5 points, 5 rebounds, and 2 assists per game. Hunter is making 44.6% of his three-point field goals. He makes 78.9% of his free throws. His 1.56-to-1 assist-to-turnover ratio is strong for a small forward. ...Hunter finished fourth in the ACC in boxscore plus/minus. Mfiondu Kabengele - Florida St. 6'9" 235 sophomore. ... Kabengele has NBA athleticism and toughness. That is a good place to start. He averages 13.4 points, 5.9 rebounds, and 1.5 blocked shots in just 21.4 minutes per game. Kabengele is knocking down 38% of his three-balls. He will need to improve his decision making (three turnovers for every one assist). He HAS improved his free throw shooting, going from 62% FT as a freshman to 76% FT as a sophomore. ...Florida State is 2.6 points better defensively per 100 possessions with Kabengele on the floor. His uncle is Dikembe Mutombo. Kabengele is 21 years old. 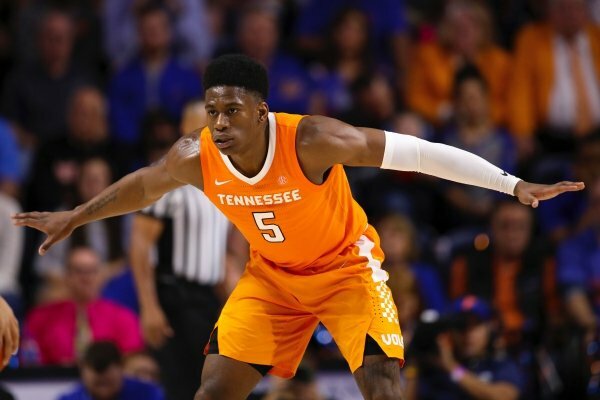 Admiral Schofield - Tennessee. 6'5" 240 lbs. Senior. ...Schofield is a tough-minded player that is likely a early second round pick in the 2019 NBA Draft. He averages 16.4 points, 6.1 rebounds, and 2 assists per game. Schofield has consistently improved in all areas. He comes from a military family and HARD WORK is a part of his everyday existence. He is now shooting 41.5% from three-point range. He is a 77% FT shooter (career). Schofield is not shy at all. He will hunt for shots. That stated, Schofield has improved as a playmaker for others. He has slightly more assists than turnovers this season. He holds his own as a defender. Admiral seems destined for a long NBA career. Ty Jerome - Virginia. 6'5" 192 lbs. junior. ...One of the most improved players in college hoops is Ty Jerome. He is a consensus late first round pick that is expected to bring size and shooting to the point guard position at the next level. Jerome averages 13 points, 4 rebounds, and 5.3 assists per game. He hits 40% of his three-point shots, while converting 79.1% of his career free throws. His 2.55-to-1 assist-to-turnover ratio is outstanding. ...Ty Jerome finished third in the ACC in boxscore plus/minus. Luke Maye - North Carolina. 6'7" 227 Senior. ... Maye is not projected to be drafted. We believe his skill level will land him in the NBA as an undrafted free-agent. Maye averages 14.9 points, 10.5 rebounds, and 2.3 assists per game. Maye is especially good as a defensive rebounder. Despite limitations as a runner and jumper (compared to most NBA prospects), Maye is a "plus" defender. ...Maye shoots 36.3% from beyond the college arc, and he nets 78% of his foul shots. When North Carolina needs a big play, Maye is often the one to make it. Cameron Johnson - North Carolina. 6'8" 210 lbs. Senior. ... Cam Johnson is a fifth year Senior that has blossomed into a real player. He has improved his scoring average with each season. Johnson presently scores 16.9 points per game. He averages 5.8 rebounds, and 2.5 assists per game. He owns a stout 1.62-to-1 assist-to-turnover ratio. ...Projected to be a early second round pick, we think an NBA team will get a steal if that scenario plays out. Johnson has the size and shot making ability that next level teams covet. He is making 46.3% of his three-point shots this season. He is a career 81.3% foul shooter. ...Johnson finished second in ACC boxscore plus/minus.